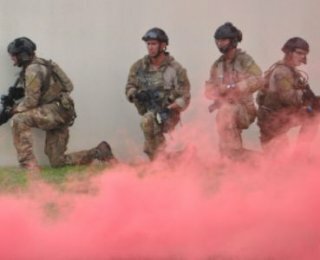 Guardian Centers supports full mission profile exercises to test and validate tactics, techniques and procedures for multiple functional areas of an organization. The first response and stabilizing care of casualties in semi or non-permissive environments. This training provides critical information in direct care, indirect care and casualty evacuation. This training utilizes the most current methodologies to decrease morbidity and mortality on the battlefield. Guardian Centers advanced training, exercises and validation campus is the host for conventional and special operation forces within the United States Department of Defense. Our past performance ranges from Realignment of Forces DSCA rotational units to Tier 1 organizations in the Special Operations Community. Our multi-purpose training facility and campus is comprised of venue environments that are consistent with natural urban terrain our defense forces currently operate in around the world and we remain flexible for the always evolving environments future engagements present. The Guardian Centers’ Metroplex is based off of an active city grid with up to three miles of DOT specification roadway. The cityscape has over eighty (80) brick and mortar structures varying from one (1) to three (3) stories. Two and three story structures have stairwells and roof top access. Three story structures have built in anchor points for rappelling. The city features a fully functional three story government type building with working elevator and FAA certified roof-top helipad. Other structures replicate common urban area structures such as a hospital, convenience store, courthouse, school, office building, hotel and more. All roadways within the metroplex are DOT spec streets with appropriate intersections, alleys and parking spaces. The Guardian Centers’ dual rail metro system hosts eight (8) metro cars on opposing tracks. The surface rail runs approximately 1700 linear feet with metro cars staged on opposing tracks down the length to replicate a sub-surface rail environment. 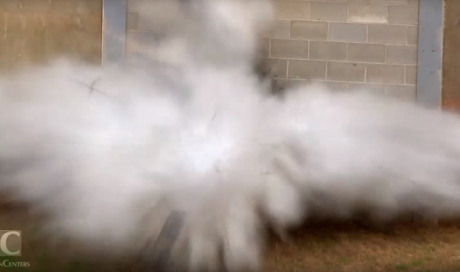 The Metro-rail venue has automated pyrotechnic to create realistic environments enabling end users to experience in low-light and no-light scenarios. The Guardian Centers’ Small Arms Range is a 50 meter fully automated range system. There are 12 firing points on the range that host individual targets from zero firing distance incrementally up to fifty meters. All firing points can be centrally operated utilizing the main control interface by the RSO or each individual firer has the ability to control their own target system utilizing a programmable touch pad located at each firing point. The central main control unit and the individual touch pad systems are programmable to perform up to 999 different variations of target manipulation. The Multi-Purpose Range is a 360 degree range for small arms shooting while moving and explosives training. Target systems and facades can be built on site including door frames and variations of walls. The Guardian Centers’ cityscape is a dynamic multi-purpose training venue that allows the end user to conduct simunitions and live fire full mission profile training scenarios including explosive entry and prosecution of force on force targets. All structures have door and window frames capable of hanging a variety of doors, from hollow core to steel exterior doors and different window glass ballistics. Realistic urban terrain sniper activity is a unique capability Guardian Centers is approved for, allowing the customer to provide realistic over watch, pre-assault or initiating fire during full mission profile exercises. Guardian DZ is our approved drop zone listed in the Zone Area Report (ZAR), index number 1426. Our 700 meter by 1200 meter dropzone is approved for personnel military freefall, static line square, and CDS/CRL/CRS. (Our static line round survey is pending approval). The Guardian Centers training complex has 6 helicopter landing zones and a three story building rooftop helipad certified by the FAA rated at 24,000 lbs capacity. Our campus has hosted several types of rotary wing air frames including, AH6 Little Bird, UH/MH60 Blackhawk, CH46/47 Chinook, and MV-22 Osprey. Houston County Airport is adjacent to the Guardian Centers campus, capable of C-130 and below fixed wing aircraft and a source for aviation re-fueling. Robins Air Force Base is 16 nautical miles from the Guardian Centers campus capable of supporting C-5 Galaxy and below fixed wing and rotary wing aircraft. The Guardian Centers controlled highway is a four (4) lane expressway separated by a standard unimproved median. Our expressway is 1.1 mile one way, built to Department of Transportation specifications including load ratings, road markings and dimensions. 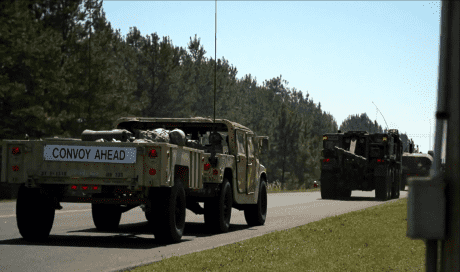 The highway allows the end user the option to utilize ground mobility to infill into the urban terrain replicating realistic environments normally addressed in vehicle movements. 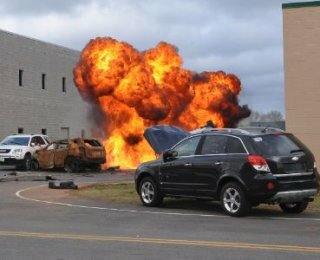 Improvised Explosive Device (IED) scenarios are common scenarios enhancing realism and operational environments.